Although tours are free, we accept and appreciate cash donations and/or canned food donations for MANNA FOOD BANK. For tours, we share our beer and pay our staff to support an average of 150 guests per week, costing us about $5 per guest. If you enjoy the tour, please consider a $5 donation (or any amount) to Manna for our neighbors in need. A few dollars can feed a family. While staying at the beautiful countryside estate of my childhood friend’s wife’s parents, some drankin’ done happened. Asheville is ridiculous. It is stunningly beautiful with a small town vibe, but relatively recently, it is becoming the booming beer brewing beacon of the south. All around, there are brew-pubs and the beer lovers that help them exist. Luckily I was with some of those local craft beer lovers. 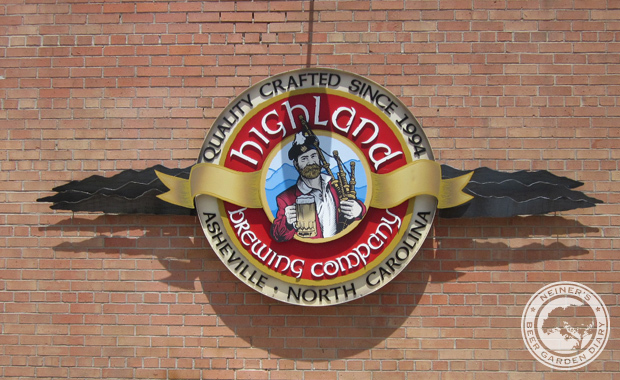 We begin our journey out on a beautiful day with planned visits to the Highland Brewing Company and Wedge Brewing Company. About 4 minutes into our 20 minuted drive I realize I don’t have my wallet. Good start! Although The Mander offers to double back, I say ‘screw it’ and commit to the fact that I can’t legally drink for a while. I had already partaken in some of the Highland beers, so I am just going for the ambiance. We search around until we find a little side road leading through some trees. Pulling up to the establishment, you can see that it must have had some fairly recent additions or renovations because there is a nice modern looking outdoor patio and entrance. 10 of us pull out of our cars in the big parking lot and make our way to a big field where other folks are trickling in for the start of a festival day. The field and wide open. There are woods surrounding the entire grounds and hiking trails sprouting out all over the place. 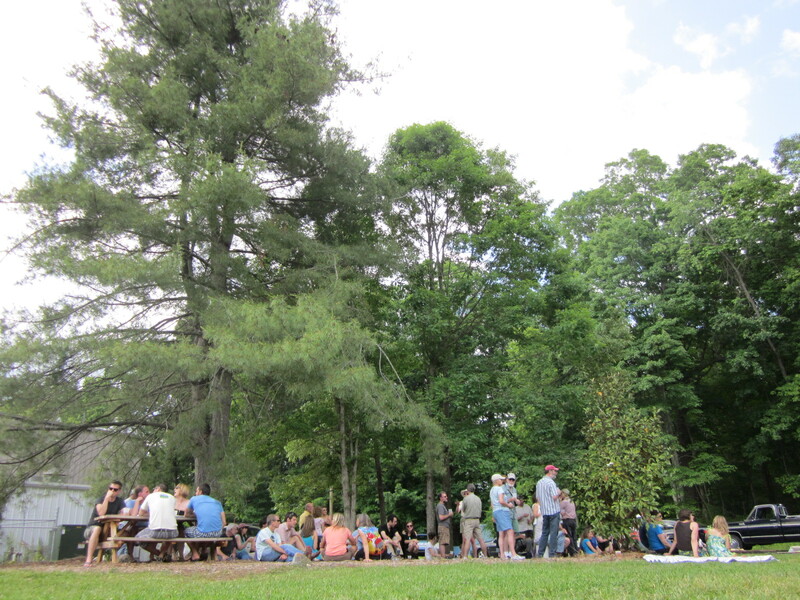 There are only a handful of picnic tables in the field in anticipation of a small crowd of festival goers that would be dancing, tossing frisbees, and playing with dogs. 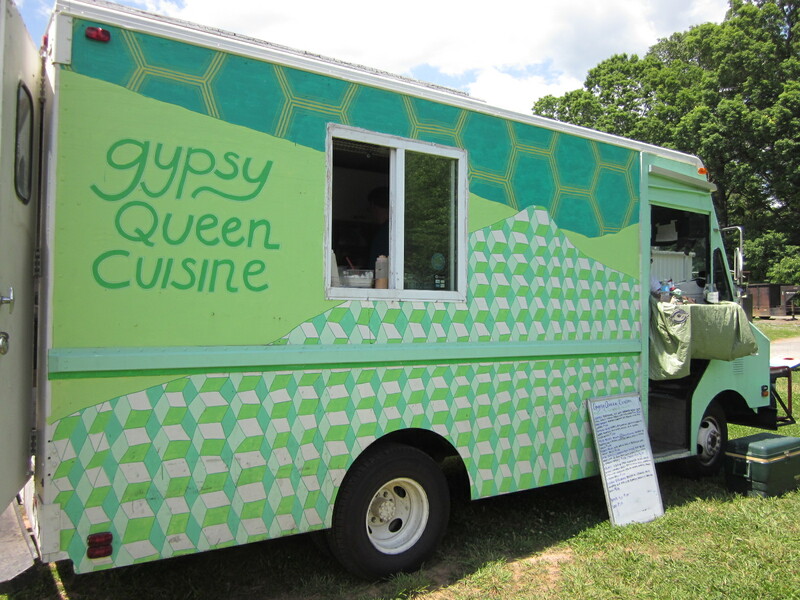 The real treat outside is the ungodly awesome food truck that serves a ton of fresh local food. I’m totally sold on the notion that beer gardens and food trucks go together like unicorns and rainbows (I may need to think of better analogies). The real treat for me turns out to be the tasting room. This place is out-of-this-world cool! 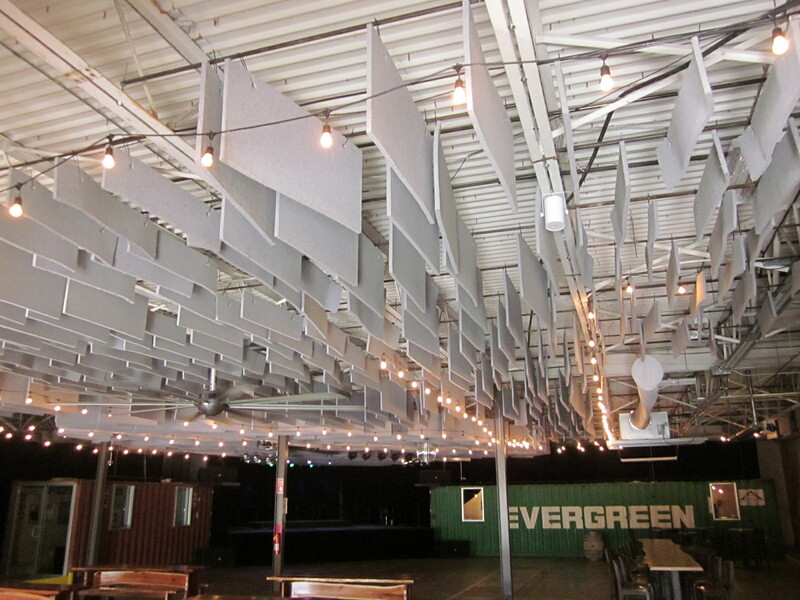 As you enter this room that is clearly just a converted warehouse, you are met with a trippy ceiling leading to a stage and a boxcar. To your right, you can see 2 big vats that are used by the apprenticing staff to experiment with new brews. Following the right wall you hit a long bar with a big chalkboard listing all the brews of the day. The perimeter of the room is made from old industrial boxcars. There is one or two out in the field as well. Totally awesome. 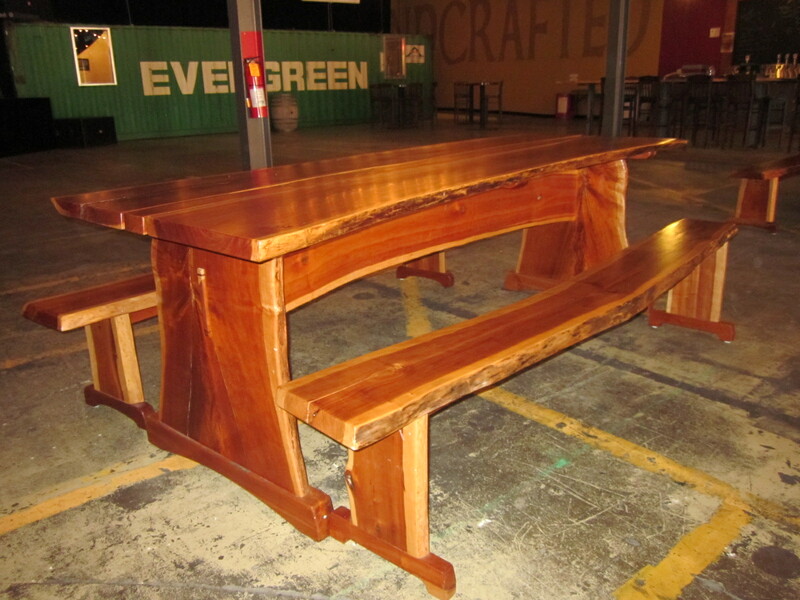 The seating inside features the most beautiful picnic tables I have seen so far. Beautiful lacquered single slabs of wood with live edges. Although I had come to Highland to get a feel for the outdoor drinking “beer garden-y” space, I fell in love with the simple yet powerful tasting room. In my quest to find the American beer garden experience, I totally found it in this unique room.